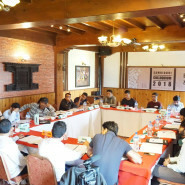 Economic Growth and Wealth Creation was the topic for this Liberty Fund type discussion at Nagarkot, Nepal in August 2018. All participants understood and believed in the philosophy of Liberty and had pre-read the texts selected by the much respected moderator Dr Parth Shah from the Centre for Civil Society in Delhi. The event was ably and enthusiastically run by the Samriddhi Foundation. 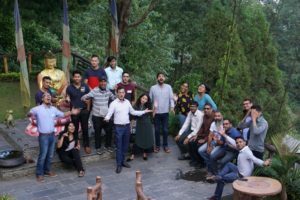 Two of the 20 mostly young participants from a range of disciplines came from India, one from Sri Lanka and the remainder were from different provinces in Nepal. This is particularly important now that Nepal is a Federal Democratic Republic with 761 different governments because of the opportunities it offers to try different policies. All of them were selected for their prior understanding of or at least open mindedness to the concept of a free society. The program was sub-divided into six sub-themes: Man’s Rights and Economic Freedom; Regulation and Poverty; On Market Economy, Limited Government and the Invisible hand; Public Choice and Public Policy; Economic Freedom and Growth: Lessons from Neighbours and finally Globalisation, Free Trade and Growth. There were 4-5 mandatory readings and a two- hour discussion session for each sub theme. 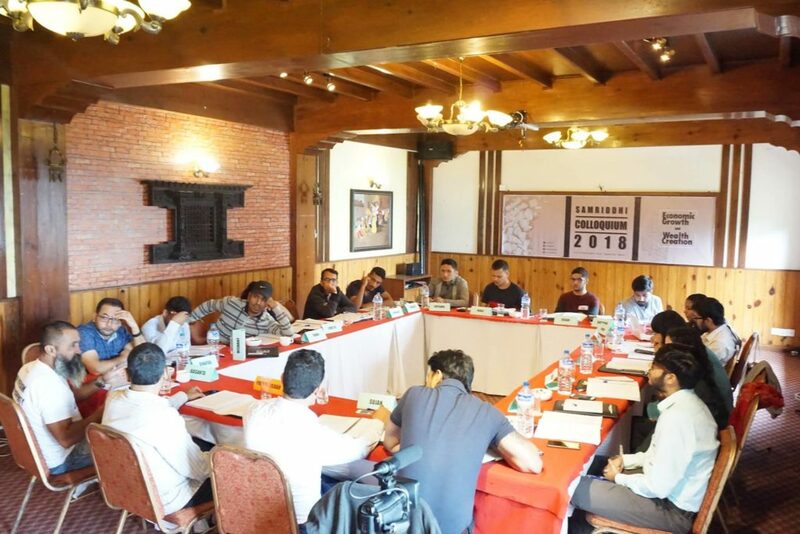 Given that ideas of individual freedom and free societies are frowned on by the mostly leftist mainstream in politics and academia in Nepal such a colloquium is an important option to influence intellectuals there. It is also an excellent way to form a loose network of those of like mind and even before the colloquium started Samriddhi set up a closed facebook page which participants seem to have embraced enthusiastically for pre event and on going discussion of the ideas. There were many other positive comments although it seems that some of the least experienced did struggle with the concept that it was just a discussion over different ideas without an agreed statement at the end. 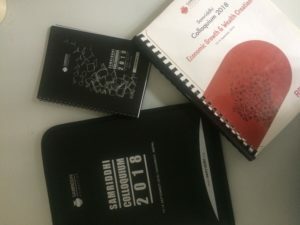 I would like to thank you for letting me be a part of Samriddhi Colloquium. It was a great honour being a part of the discussion that helped me understand the economy in more detail. I felt like I found a place where I could actually relate and talk to. After attending the colloquium, I am really looking forward to working with the team and attending your events. The event helped me a lot to unlearn, learn and relearn things. The readings were so well put that I still follow them and they are simply amazing. Thank You for putting such amazing reads together. I hope that I can work with the team and expand the horizon of knowledge from the very intellectually talented team in near future. I really enjoyed and loved every part of the colloquium. Thank You so much for having me. A reader of 20 – 25 articles on the theme ‘Economic Growth and Wealth Creation’. A three day colloquium for 18 participants. An increasingly vibrant communication on the groups closed face book page. Basanta Adhikari, founding chairman of Bikalpa an Alternative, another free market think tank in Britnager in a different part of Nepal, was so impressed with the learning opportunities offered by the format that he immediately organized a similar event in Britnager to take place in January and will run others later. 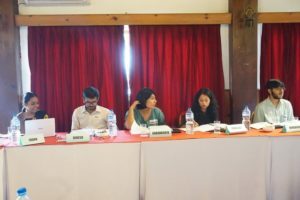 Anuki Premachandra assistant manager at the Avocata Institute in Sri Lanka has since been developing a classical liberal response to current policy challenges to strengthen the ability of everyone in the organization to advocate for effective change. Niraj KC, Coordinator of the Nepal Economic Forum was so excited at the ideas they were discussing that he is now cooperating with Samriddhi in a translation project which he suggested to them so that the event texts and many others could be available to a much wider non-English speaking audience in Nepal. Apparently at the moment the only material available there on political or economic ideas promotes a socialist ideology with nothing available for people to explore individual rights and private enterprise etc. The first book they will translate with support from NFS is Dr. Eamonn Butler’s “Foundations of a Free Society” which their CEO Deependra Chaulagain said would be a long term contribution to the ongoing debate.